Becoming a nursing professional (whether it’s an RN, or an advanced nurse practitioner) requires a strong educational foundation. Nurses earn a bachelor’s or advanced degree and pass the required certification exams before seeing their first patient. But once you’ve put on your scrubs and entered the working world, the learning doesn’t stop. In fact most states require nurses to complete continuing education every two to three years in order to keep their licenses and special certifications current and active. 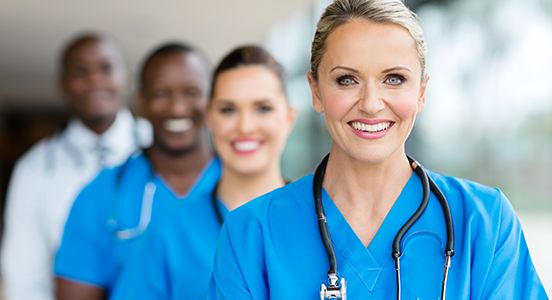 This continuing education – sometimes referred to as CEs or CEUs – are designed so that nurses can keep their patient care skills fresh, stay on top of any industry changes, and learn about new nursing techniques and practices. The amount of required CEUs vary widely. Some states including New Jersey, California, Arkansas, and Iowa require 30 hours every two years. In other states like Montana and Ohio, requirements are a bit less -- just 24 hours every two years. In Washington, there is a 45-hour requirement, but it must be completed every three years. In other words, each state board of nursing varies when it comes to CEU requirements, so it’s important to understand what you’ll need to do to continue practicing nursing in your state. What is more consistent is that every 50-60 minutes of participation in a CE-approved activity is equal to one CE contact hour. For nursing-related courses taken in a college program, a semester course will earn you 15 contact hours, while a quarter course will count as 10 contact hours. There are so many different options available to nurses when it comes to earning CEUs (continuing education units), and as you can tell, the requirements will be different depending on where you work. With a busy nursing work schedule, fitting in CE might seem like quite the challenge. Luckily, there are lots of options that make CEUs accessible and manageable. And because you do have a good period of time to complete your requirements, you can space out the hours so that they can best fit into your schedule. This guide will have you navigate CE for nurses so that you can keep your credentials up to date with as little hassle as possible. Let’s start with a quick explanation of what CEs and CEUs actually are, since you might be wondering if those terms can be used interchangeably. CE is just the abbreviation for continuing education, so it’s really more of a generic term. On the other hand CEU (a continuing education unit) refers to a unit of credit equal to 10 hours of participation in an educational course or approved activity. The key here is choosing approved or accredited programs. In order for a CEU to count toward your required hours, it must be administered by an approved CE provider. Usually, if it’s nursing CE coursework from a college or university or a nursing school, you should have no issues with having such credits approved. However, the study hours must be related to nursing in some way, so taking a liberal arts course, for example, wouldn’t count. That being said, you don’t have to earn all of your CEUs in a college classroom. On the contrary, there are professional seminars, online webinars, correspondence courses, and other industry events that can count toward your continuing education hours. It is also possible to complete CE hours out of state as long as they are given by a provider that is approved by an ANCC (American Nurses Credentialing Center) regional accrediting body. When in doubt, the best way to confirm that an activity, conference, course, or seminar will be counted toward your required CEU hours is to check with your state board of nursing. For easy access, you can find your state board’s website via the National Council of State Boards of Nursing . Along those lines, some states do expect some portion of your continuing education to be on specific topics. For instance, in New York, nurses must take an Identifying and Reporting Child Abuse course and an Infection Control course as part of their hours. In Michigan, one hour of Pain Management education must be completed. The remaining hours can be decided by you. The other thing to keep in mind is that CEUs must be earned within a specific renewal period as identified by your state. So if you need to earn X number of CEUs every two years, you can’t double up and apply extra hours to the following two years. They do not carry over. What is the easiest way to earn CEUs? If you’re employed by a large hospital and are part of a union, it’s quite possible that your employer will pay to send you to conferences and training sessions that can help fulfill your CEU requirements. Of course, every institution is different, but check with your employer to see if any such opportunities are offered. If you’re completing your CEUs independently, there are lots of options for completing CE hours online or at your own pace. The American Association of Colleges of Nursing and the Commission on Nurse Certification lists nationally accredited CE providers on its website. Again, just be sure to double check with your state board before you start randomly signing up for courses from one of those providers. The few minutes it will take to confirm that a course is accepted is worth it to avoid wasting time and money on ones that don’t count. CEUs can usually be completed without having to spend a large sum of money. Some hours can be done for free, or for minimal costs under $50. Some providers offer the option to pay a flat fee to take as many courses as you want. And as mentioned above, sometimes your employer will sponsor a portion of your continuing education and training. 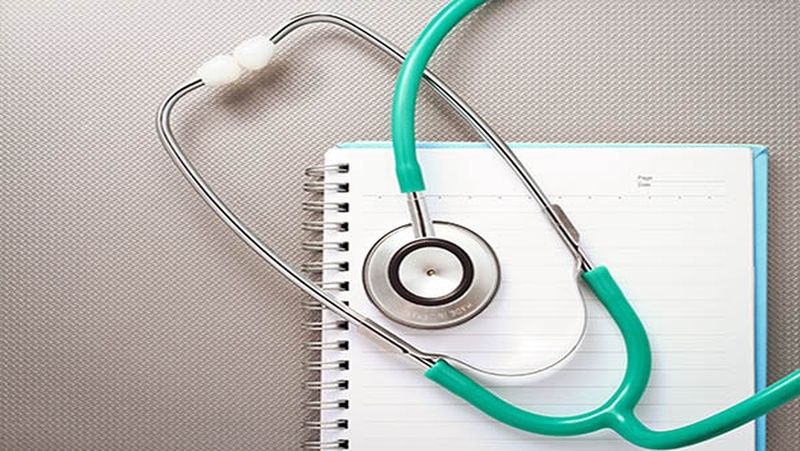 For those nurses who are non-union or who work for a smaller health care provider that doesn’t have the resources to sponsor training, the costs for CEUs can usually be included as a tax write-off when you do your tax returns. After completing CE hours, you want to be sure that your time and effort will be recorded properly. Usually, the provider will give you a certificate of attendance. If it’s done online, you will likely receive an electronic notification that you completed the course, but you can request a hard copy as well. In most cases, the acronym BRN should appear on the completion certificate, signifying that it is an approved “Board of Registered Nursing” continuing education provider. Be sure to keep paperwork or digital copies of your CE completion records for a few years in case your credentials are ever called into question. Keeping your RN and specialty nursing licenses up to date is something that all nurses have to do in order to keep working in the field. However, don’t overlook the other benefits that CEUs can provide, namely staying on the cutting edge of new innovations in the industry so you can thrive professionally. In other words, choose your CE hours carefully so that you can get the most out of the experience, whether it’s networking with fellow RNs at a conference or learning a new skill that can be directly applied in your day-to-day job.